Filippo Ricci, the Creative Director of Stefano Ricci, on Italian craftsmanship, creating new shopping experiences, and the timelessness of true luxury. It has been a natural path. Since I was born my parents have involved both me and my brother in the business and once we finished university, it was the most natural thing to do. It’s part of our DNA. I was appointed Creative Director eight years ago and since then we have been working towards delivering a new message: bringing a company that started producing the best ties in the world 45 years ago, to a 100% global lifestyle brand, including total looks for men and juniors, a home collection, fragrances and so on. We are working on our brand identity in order to, as written by the NYT, deliver “luxury for the Alpha Male”. This respects our values which are integrated in our products: Honour, Power, Pride. My responsibilities include Brand Identity, Image and Media Communication and the production of our look books, which have become real works of art that celebrate the great Italian beauty. Who knows? Our days are full of surprises! If I am not travelling the world visiting stores or clients, I spend the day at our headquarters in the hills of Florence where most of our production is based. Often we have clients who come and visit us from all over the world, and I enjoy guiding them personally through our production, before leaving them in the hands of our Master Tailor. As you know, all of our family work in the business, so there is also a good reason to spend time together every day, and to have a good chat with my mamma! There are a lot of meetings, covering different aspects of the business, and a strong focus on the new collections with my design team. Could you talk us through your creative process behind each collection? Each collection is a new story. Every season you get ready to hit the market and you aim to create the right chemistry for the costumer. It is always an exciting and fun challenge. And funnily enough, the best ideas always come at the end, so we are always running to get the samples ready on time!Travelling is the deepest source of inspiration, from the deep blues of ocean water to the green hills of East Africa, but also the beauty of simply walking in my beloved hometown, Florence. 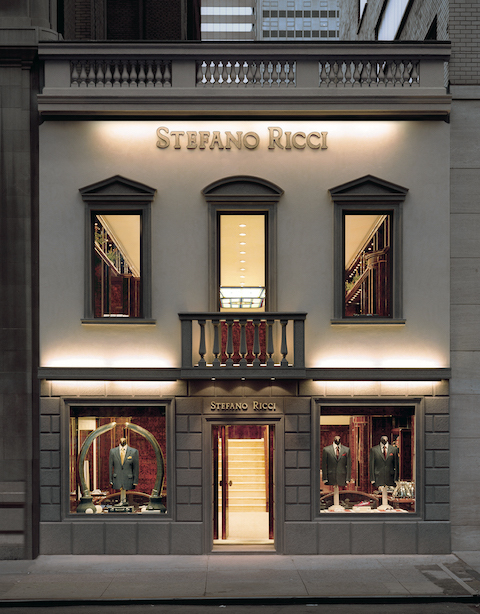 How has the Stefano Ricci customer evolved over the years? Our client has always been a successful man who buys for his personal pleasure. 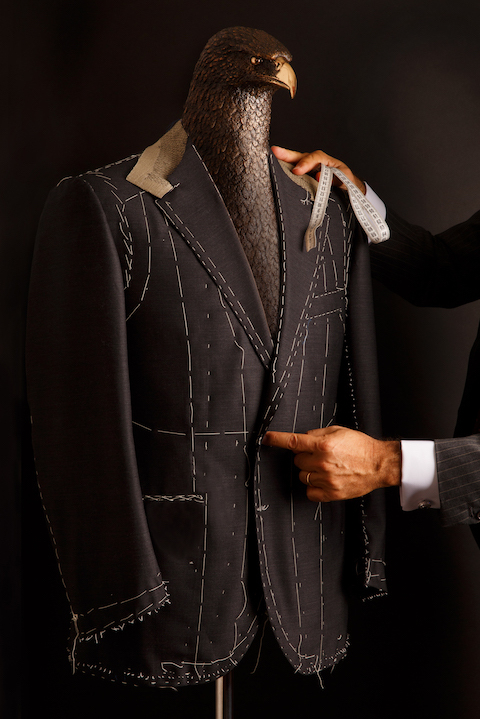 He is a customer who does not enter a boutique because he needs a suit, but because he seeks absolute quality and a modern style developed respecting the fundamentals, as far as manufacturing skills and pure tailoring are concerned. Today he is a client with a younger age than a decade ago, say between the ages of 35 and 40. He loves sportswear, but requires an accuracy in the detail that we must always be able to express without compromise. He loves to look good, but he needs to FEEL good. The company started in Florence and operates there. How has this affected the DNA of the brand? My father Stefano and my mother Claudia always wanted to keep strong Florentine roots. We were born and raised here; we have established ourselves in work here and we have our headquarters in the hills of Fiesole. Being a Florentine means, from an early age, acquiring an aesthetic taste and a sense of beauty, the balance and harmony of forms. It is enough to just walk the streets of this city in order to feel part of a vision that the whole world loves. It is in the arts, in architecture, in masterpieces and in expertise. And, not a secondary factor, in quality of life. I would combine with this the pleasure of know-how, and of high craftsmanship. What does Made in Italy mean to you? What are the challenges behind it? Authentic Made in Italy is an indispensable value for those who love quality. It is the result of the ancient corporations, of the arts and crafts that date back to the Middle Ages, of a manufacturing capacity that has always kept man at the centre of development. It is no coincidence, moreover, that since the end of the Second World War, elegant men and women have increasingly looked to an Italian style that must, in my opinion, be bound to the high-quality production of our territory. Which are the most important markets for you at the moment? Why? Greater China, where we opened the first ever boutique way back in 1993. Russia and the CIS area which allowed Made in Italy to grow at the turn of the Millennium. The great capitals of Europe and the metropolises of North America. We are growing in all these regions as a result of quality work (2017 is closing with a growth of +14%). What is your biggest headache at work right now? We have been experiencing a significant growth in our business during the last ten years, and what is fundamental for us is maintaining the same level of quality, and most importantly, the same family feeling. It is important to know your team. They have to feel part of the family, part of the same project. Ken Downing wrote a piece on Fashion We Like about the dangers of fashion fatigue. Do you feel that we are dealing with an oversaturated market where fashion is moving too fast and showing too much? I agree with Ken. We have been proud partners with Neiman Marcus for over 25 years and have had great experiences together. The world of fashion is moving at a crazy speed and there is too much out there, with a never-ending marathon to deliver something new. Thank God we don’t sell fashion. We sell quality, service, and tradition in evolution. Customers know that, and they genuinely understand that sometimes they have to wait six months before they receive a crocodile jacket or a tuxedo made of special silk woven on our hand looms from the 18th century at the Antico Setificio Fiorentino. 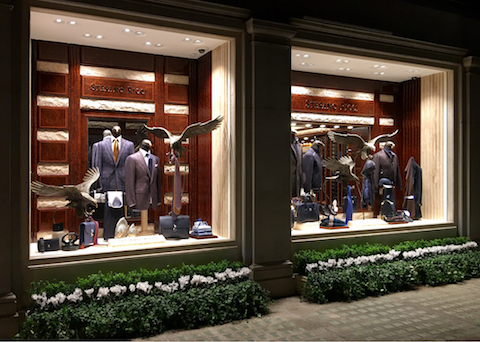 Which are the three biggest challenges that luxury brands face at the moment? Why? The risk of losing brand identity, which is a company’s DNA, by switching styles and creative directors too often. There is too much merchandise out there and brands are running sales too early and too fast. We don’t sell at outlets and have never implemented a sale throughout our 45 years of business. Counterfeit products on the market destroy the value of production, betraying the client. We all need to invest constantly in new security policies, such as RFID tags and NFC chips for logistic and product authentication purposes. We have already implemented these new technologies into our production. This is enhanced by an app we developed which will be launched by the end of January, offering our clients the ability to personally verify the authenticity of their purchases. Prime retail spots do not go out of fashion. Despite the growth of online business, people still love to shop. For this reason we started creating new shopping experiences such as the Stefano Ricci Shanghai Mansion concept store. Here, clients can spend their time in an exclusive club with a private cigar room. They can have their own shopping time, they can store their special wines here and host guests in a VIP room for exclusive dinners. It is an experience they can’t buy as these clients receive a special invitation to this lifestyle concept, including a membership card to the Stefano Ricci Club offering a variety of Made-to-Measure services. We have no time for setbacks. We always look forward and make it happen. I am a very positive person, so I always smile and say: the best is yet to come! Learn to use your hands! The world is full of people who like to work behind a computer, but we are lacking great, expert artisans. Craftsmen, tailors, and master leather workers are really artists, and have a great future in this business. Fashion is the ultimate form of art and we need to respect it for that. Could you please tell us about your priorities in the next six months? We are finally opening our 60th store. I will be travelling between three different locations: Hong Kong, Miami, Las Vegas, and moreover celebrating our 25th anniversary in China. But also spending time with the family and my five year old son, Stefano. He comes almost every day to the office with me after school, just like I used to do! Hopefully this will work to get him passionate about the family business…and he has the right name too!